Dedication to supply premium quality to our customers. 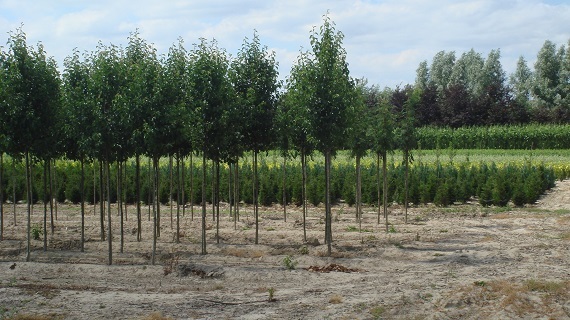 The group of BOWECO brings a wide assortment of outdoor nursery stock together and tries to combine generations of production skills with efficient sales and transport facilities. The group offers hardy nursery stock from their own 80 ha open field production and 16 ha container grown plants. Thanks to a good reputation and a good co-operation with many specialized growers from our area, we can supply any product out of the wide range of hardy nursery stock at sharp prices. This refers to trees, evergreen hedge plants, conifers, shrubs, roses, fruit trees, liners and perennials. We are official license holders of BEST SELECT cultivars and provide free delivery for significant stock orders. We can realize contract growing of all ornamental shrubs and trees plants! In 2007 we decided with 6 nurseries to make a co-operation. Mainly to make sure that the growers can concentrate on the full time dedication to make the best quality. And sales and logistics can be done without influencing the nursery activities. After more then 10 years we may guarantee everybody that this formula works! !